Stretching over 2300 KM, the Great Barrier Reef is home to some 3000 odd colourful coral reefs and 600 continental islands. Read on to find out why you should make it your next travel destination! The Great Barrier Reef is home to a diverse array of marine creatures including 600 categories of rare corals, 1625 types of fish, 133 varieties of rays and sharks among others. Over 30 species of dolphins and whales can be found here as well. If you want to glide around with these majestic manta rays, head to Lady Elliot Island where hundreds of these gentle creatures congregate during winter. To get up close and personal with Dwarf Minke Whales, plan a trip during the months of June or July. Accommodation can be found in many hotels in Gladstone QLD including the likes of Oaks Grand Gladstone. Get an aerial view of the world’s most extensive coral system by taking a scenic flight over it. Don’t forget to keep an eye out for a perfect heart-shaped island! 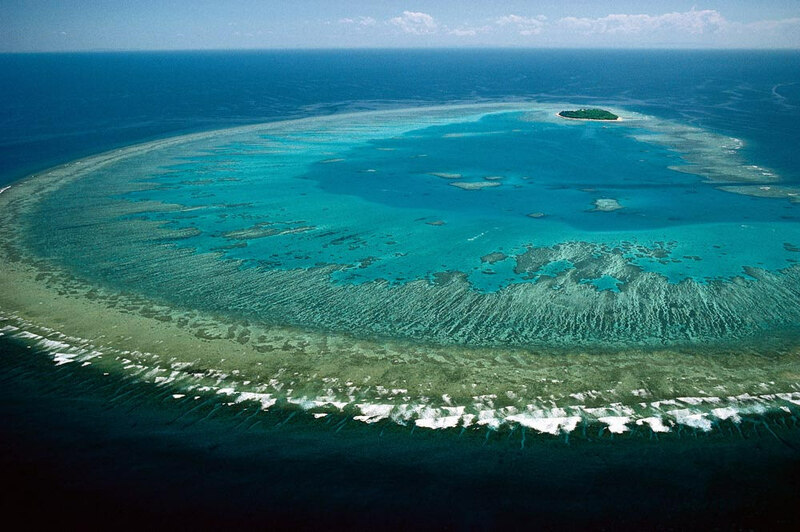 The reef extends from Bundaberg in the south and beyond Cape York located in the north and is a true international icon. As the largest living structure on earth, the Great Barrier Reef can be seen even from the moon. Previous Post Why you must visit Bondi beach – One of the most loved beaches in the world!